Friday Wondering – Does HR need courage? 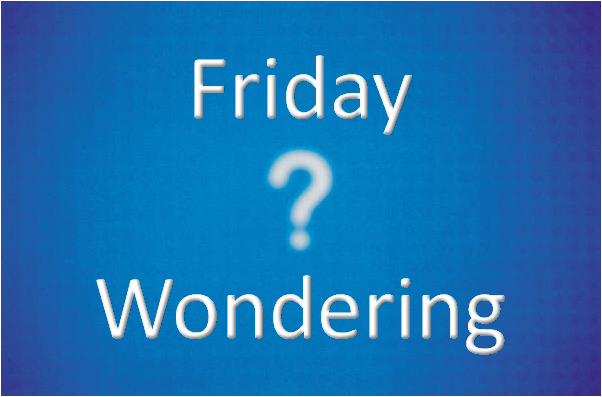 Each Friday I’m posting a “Friday Wondering“. These posts are meant to explore & discuss observations or issues which I think would benefit from discussion. Participation is open to absolutely anyone regardless of their expertise or knowledge. Just bring your curiosity! If you’d like to discuss on Twitter rather than here then why not. It would help though if you could use the #FridayWondering hashtag. Thanks! I’ve noticed that many of my conversations with people in that broad house called HR have touched upon the need to act in their roles to break the norm. To stand up to management. To change the status quo. To lead by example. It often takes courage to be a leader of change. However, the situations recounted often reflect the fact that senior management don’t have the courage to change themselves. So what do you think? Does HR need to have courage to perform it’s role fully? Would acting with courage lead the way or would it give permission to other executives to follow rather than lead? I would not confess to be a great expert of HR. I wonder whether part of the challenge for HR is the breadth of roles its often required to play. Rule setter, enforcer, partner, coach, consultant, expert and I guess many more.I also imagine that many came into the profession based on a specific hr specialism and personal preference for a specific field. The expectations of the profession and of the role takes more than courage but a whole set of new skills and overcoming some personal motivation and personality preferences.More wonderings! David, we were both at the EMCC networking group for a powerful example of how a business is letting HR (in it's broadest sense) drive some of the change in the operation. I feel that generally HR are damned if they get too close to ops and yet then derided for not understanding the ops side. I'd speculate that it's a rare business where HR are influential enough to "give permission" as opposed to suggest…….